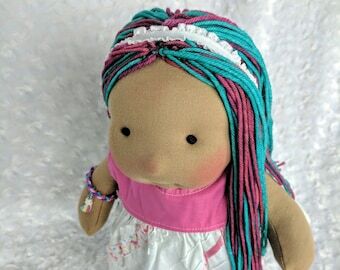 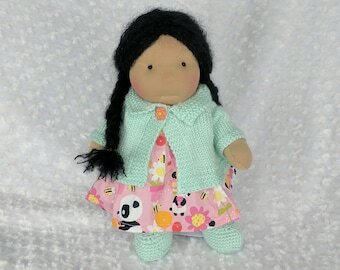 This is Kylikki, a Junior Netchie Doll. 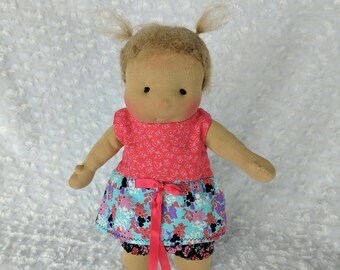 Junior Netchies have proportions of a young girl (not baby doll proportions). 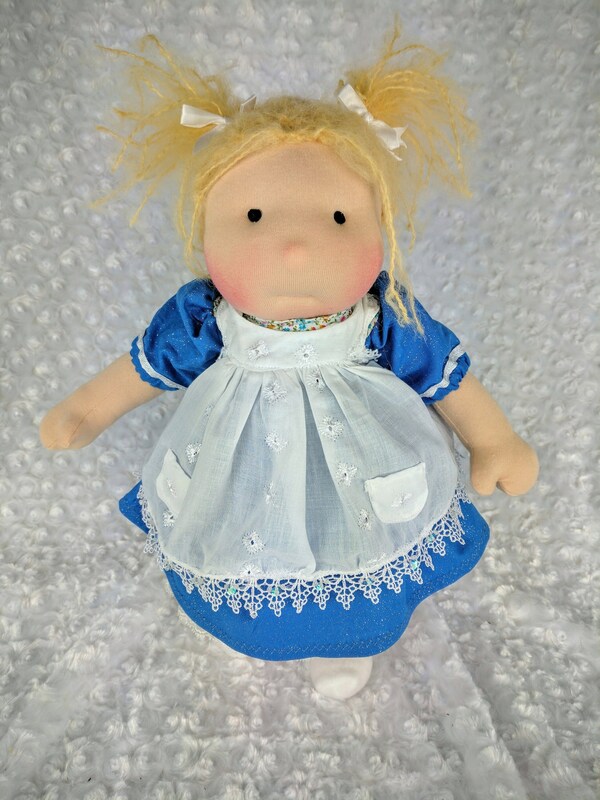 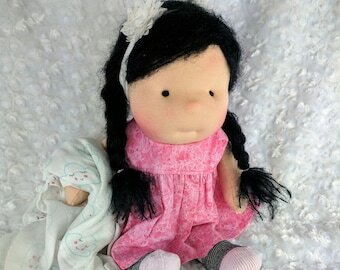 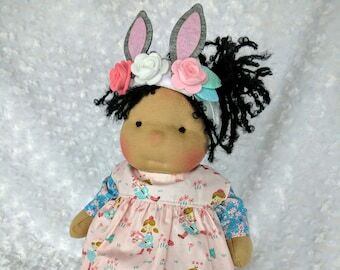 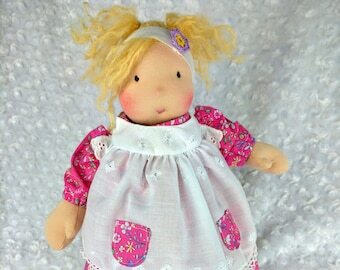 She is a very sweet and soft Waldorf-inspired doll that is ready to be adopted and travel to her new home today! 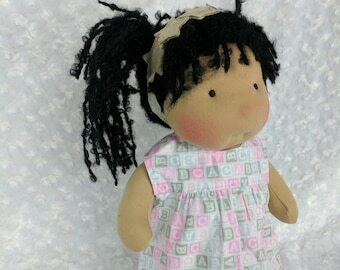 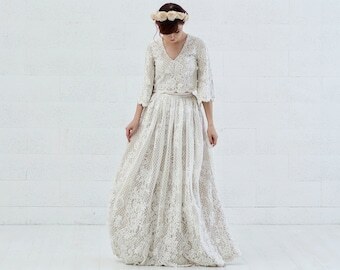 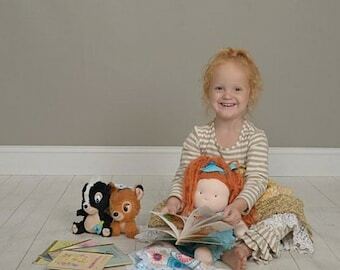 She is 15” tall with blush colored skin and brown embroidered eyes. 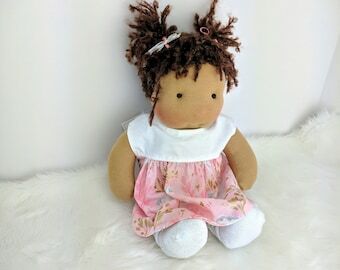 The dolls appearance is intentionally simple in order to allow the child playing with it to develop the imagination and creative play. 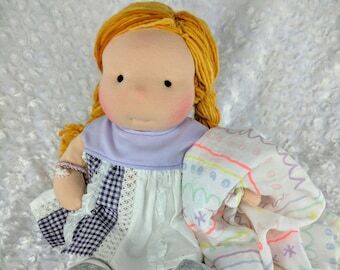 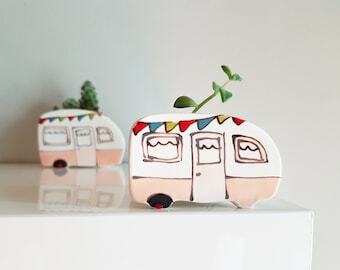 For instance, she has simple features, or a simple neutral expression so the child can imagine the personality and mood of the doll and if the doll is awake or asleep. 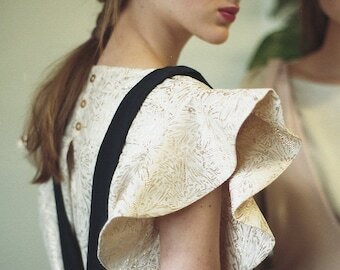 Kylikki is sewn from high quality 100% cotton skin-colored jersey. 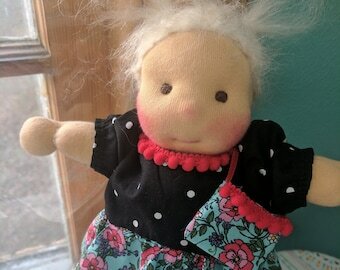 Her hair is made of blonde mohair. 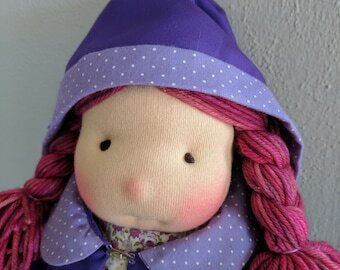 The head is made with knit fabric of 100 % cotton, sculpted in the traditional Waldorf method and stuffed with cleaned sheep's wool. 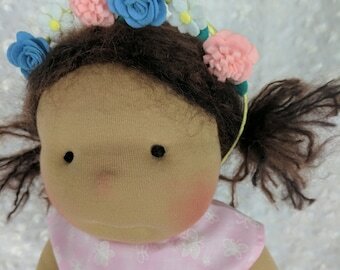 The cheeks are blushed with non-toxic beeswax. 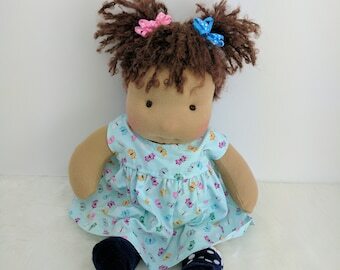 The body, arms, and legs are also stuffed with wool stuffing making a soft and warm doll with a nice weight.